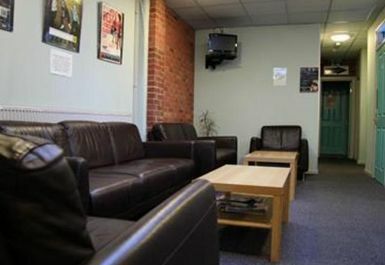 The Engine Room Fitness Centre is a family run fitness centre and gym established in 1992. The club have a state of the art gym suite kitted out with cardiovascular machines (treadmills, rowing machines, cross trainers etc.) to give your heart and lungs a great workout and their extensive range of resistance machines offer you a variety of stations to work every major muscle group in the body. The free weights room will provide you with everything you need to focus your training on specific areas to improve your strength power and build. It is not only stocked with dumbbells (ranging from 2.5kg right up to 50kg), bars, plates, benches and racks but they also have a sports floor which provides you with extra cushioning while you work out. The fitness studio has a wide variety of classes including Zumba, Body Pump, Metafit hiit training and Yoga. 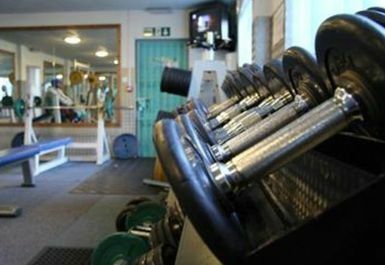 The Engine Room Fitness Centre is located within Troon Way Business Centre. Staff, are friendly if you have any queries tgey are happy to help. Nice range of equipment not quite everything. You can definitely get a good workout with what's on offer. Nice and clean with shakes made to order. Slightly more crowded. Easy to redeem again. Easy to use pass regularly. Just right amount of equipment. Easy to redeem pass. Good experience. Nice range of equipment and not too crowded.